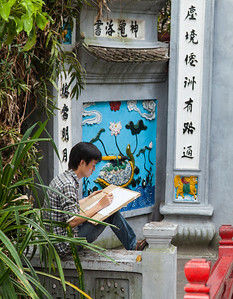 Art student in Hanoi sketching at the entrance to Ngoc Son Temple in Hoan Kiem Lake. 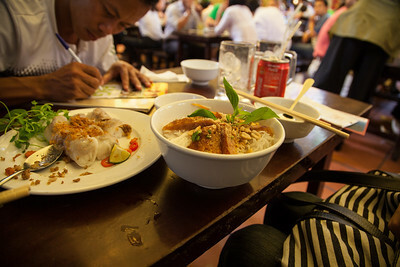 Some lunch dishes (spring rolls, and bun cha (I think)) at Quan An Ngan. 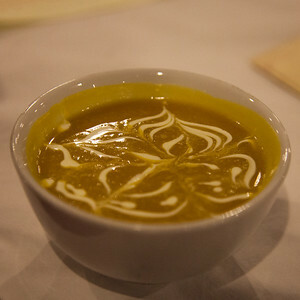 A local sitting at our able was kind enough to write down some dishes and restaurants we should try. 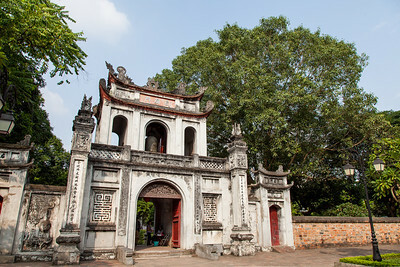 Entrance to the Temple of Literature. 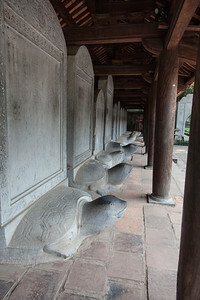 Stelae showing names of those that passed the emperor's exam inside the Temple of Literature. 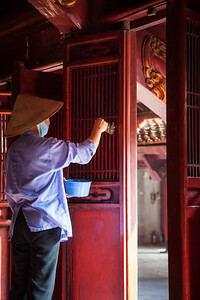 A woman washing some doors at the Temple of Literature. 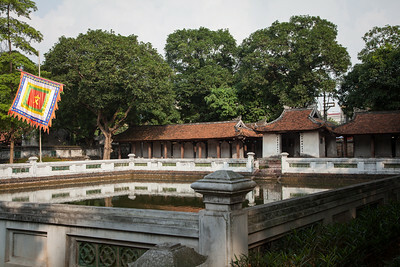 A courtyard inside the Temple of Literature. 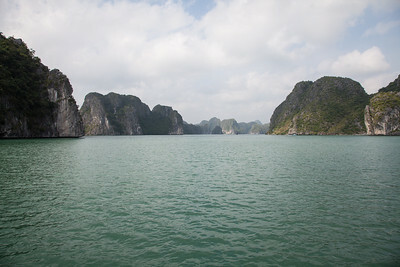 The stelae from earlier are in the small structures across the water. 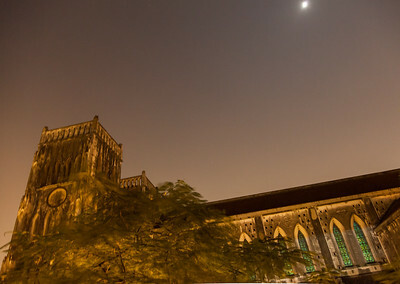 Night shot of St. Joseph Cathedral from the porch of the hotel room. 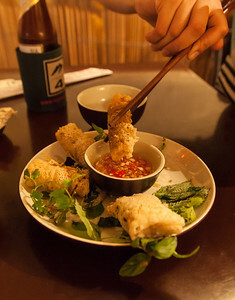 Some cricket spring rolls for dinner at Highway 4 in Hanoi. 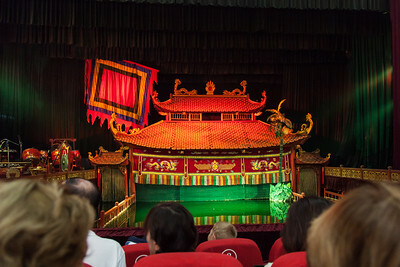 A view inside the water puppet theater before the show started. 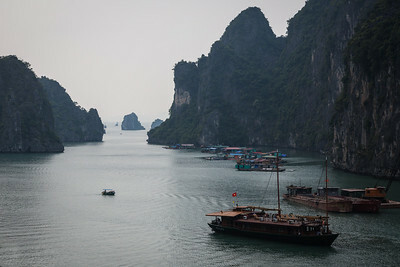 A view from the deck of the Oriental Sails in Halong Bay. Our captain at work in the bridge. (Sorry, Thien!) 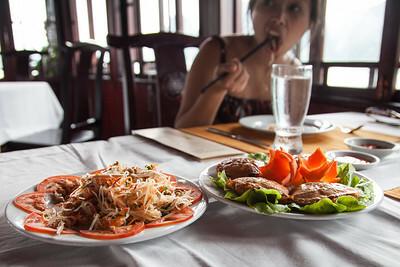 Some papaya salad and stuffed crabs for lunch aboard the Oriental Sails. 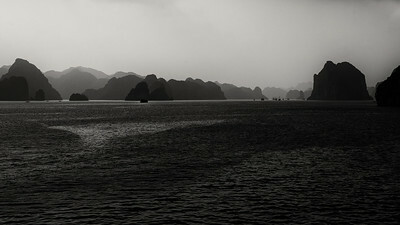 Clouds and fog on Halong Bay. 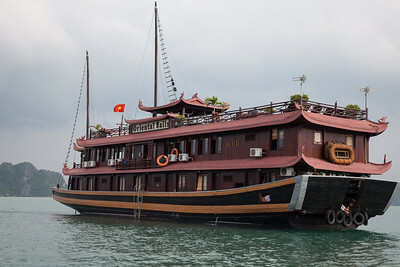 A lady rows between the large tourist boats selling food and water. 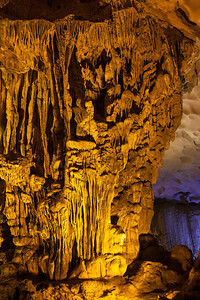 A view from the entrance to the Amazing Cave in Halong Bay. 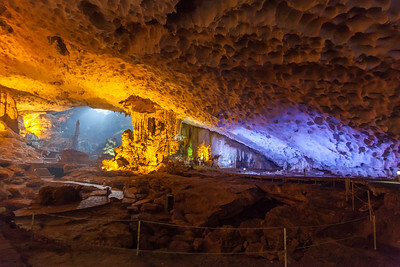 A view from the exit of Amazing Cave. 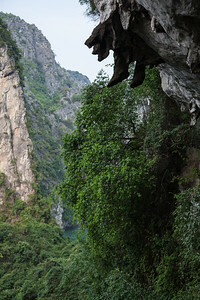 Rocks hanging down like a man's feet, near the exit of Amazing Cave. 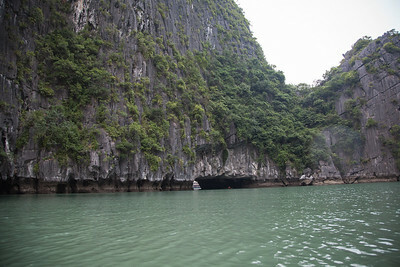 Another view of the bay from the exit of Amazing Cave. 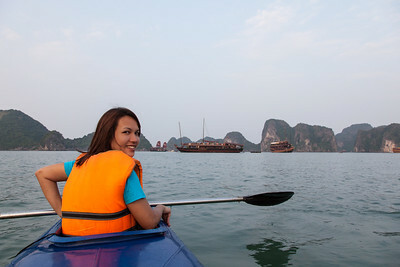 Am out paddling in the kayak in Halong Bay. 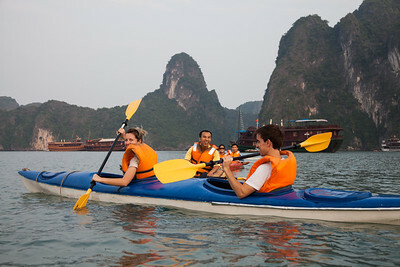 Some folks from our boat paddling in their kayaks. 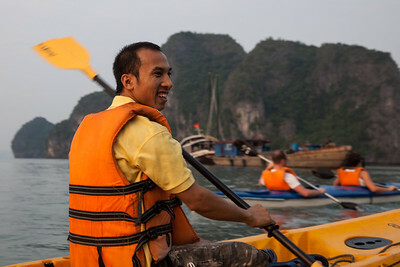 Our guide paddling his kayak. 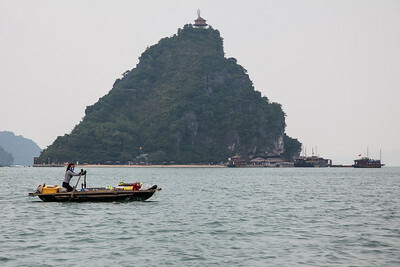 Some local fishermen in their boat as we kayak past them. 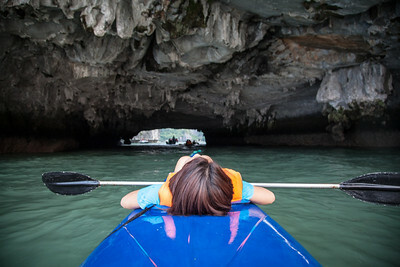 Lying down in the kayak to clear the rocks as we go into a hollowed out karst. 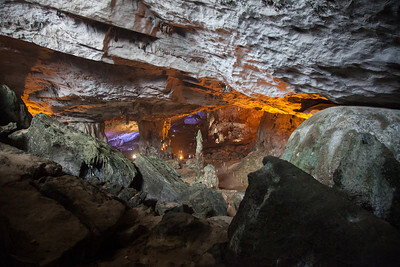 Looking back out to the entrance of the hollowed out karst. 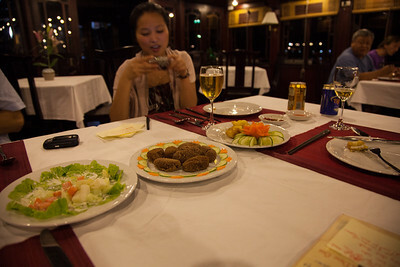 Fruit and vegetable salad, fried tarot roots, and fried squid for dinner. 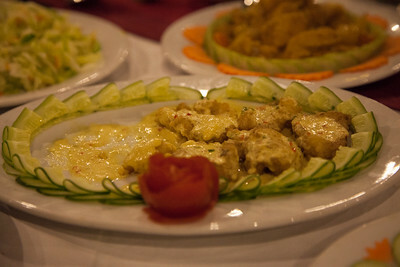 Fried fish with yellow sauce. 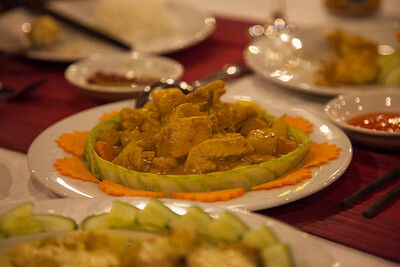 Chicken in a yellow curry (I think that's what it was). 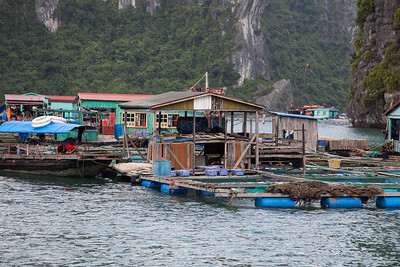 Small fishing village in Halong Bay. 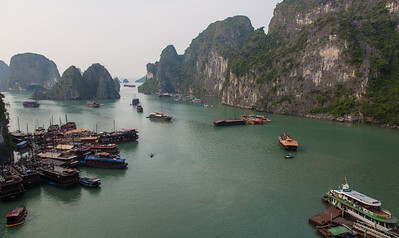 A fishing village in Halong Bay. 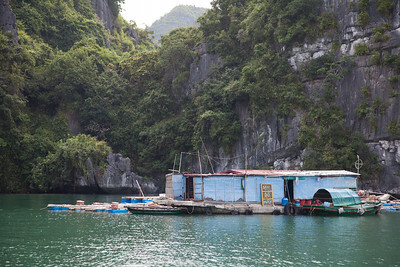 The flat section in the front contains several tanks (made of net) to hold the fish. 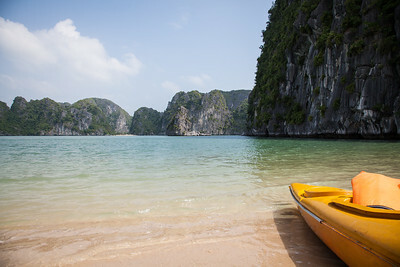 After kayaking for a while we paddled to a small island with a beach and relaxed for a while before heading back for lunch. 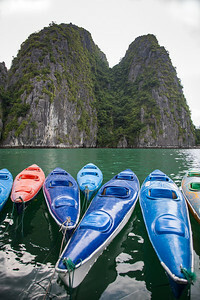 Some of the kayaks waiting to be used. 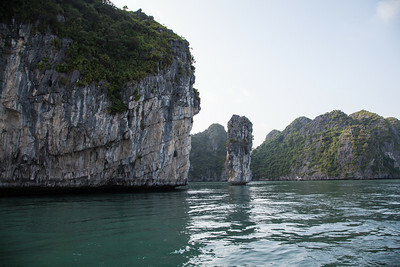 More karst geology in the bay. 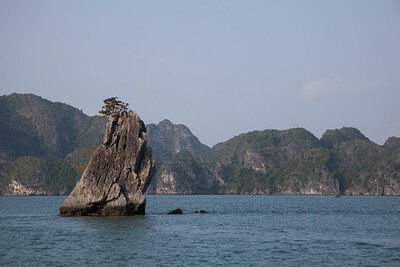 A small karst with a tree in the bay. 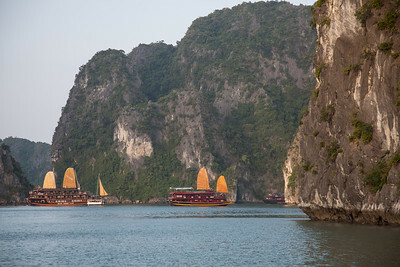 A view of some Chinese junks in Halong Bay. An unfortunate spelling error in the wooden headboard of my cabin in the boat. 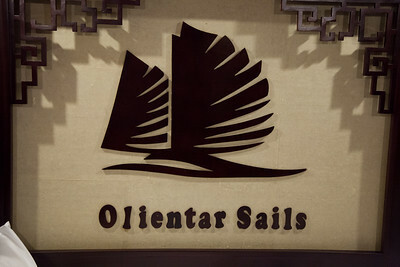 It is supposed to read "Oriental Sails." 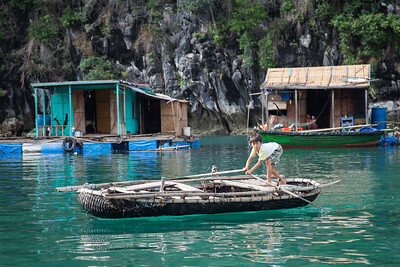 A small boy paddles around in a large fishing village. 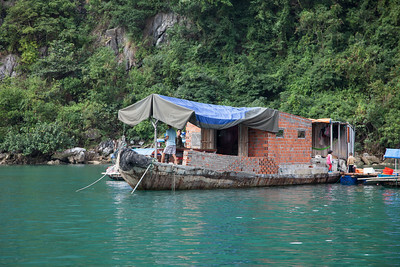 A boat in the fishing village made of concrete and bricks. 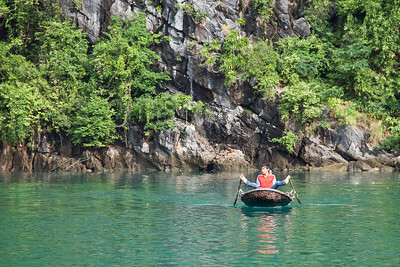 A boy uses his legs and feet to paddle the boat - I guess his arms were tired! 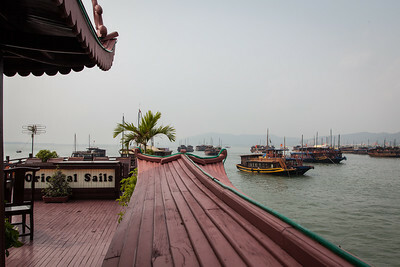 Our boat, Oriental Sails, as we approach from the fishing village. 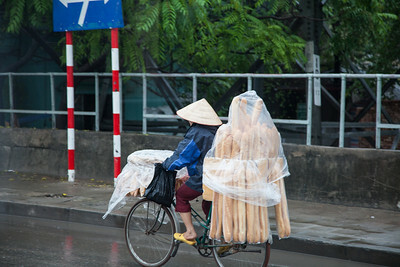 A woman carries fresh bread on her bicycle in the rain in Hanoi (somewhere between Phù Đổng and Hồ Hoàn Kiếm - my GPS stopped before the shot). 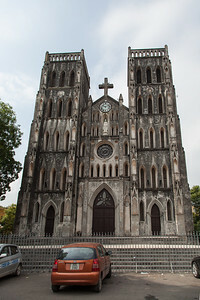 The front of St Joseph Cathedral in Hanoi.